The products and services provided by BDA, Tri-Vortex Technology and the Tri-Vortex Institute are not licensed by the State of California nor have they been reviewed by any state or federal agency or administration. Section 516 of the March 22, 2018 FD&C Act authorizes the Agency [US Food & Drug Administration] to ban devices that present substantial deception or unreasonable and substantial risk of illness or injury. The one and only goal (not a claim) of Brian David Andersen, Tri-Vortex Technology and the Tri-Vortex Institute is to improve the quality of life. Brian David Andersen, Tri-Vortex Technology and the Tri-Vortex Institute only deploy services and utilize devices that have no risk of illness or injury. For full disclosure statement signed by individuals conducting sessions at the Tri-Vortex Institute click here. Studies were initially done with embryonic stem cells but that has largely given way to the study of adult or somatic stem cells. Adult stem cell research was initially centered on the harvest of stem cells from one area of the body, enhancing them by various ways, and then implanting them into the area of concern in the body. Research has expanded to include various ways of stimulating stem cells to reproduce and migrate to various areas of the body in need of repair or regeneration. A groundbreaking study out of Harvard University’s Wyss Institute has shown that lasers can activate stem cell differentiation and promote tissue regeneration. The use of low-level laser therapy to stimulate the bone marrow derived mesenchymal stem cells is now being extensively studied. Applications tested have ranged from the treatment of neuropathy and fibromyalgia to the regeneration of cardiac, liver, kidney and dental tissue. The Tri-Vortex Technology Stem Cell Stimulator is a multi-modality body experience that promotes relaxation, rejuvenation and an overall feeling of wellbeing. 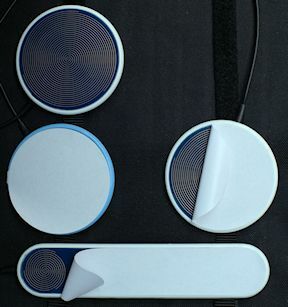 Numerous clients have reported significant relief from various conditions such as sciatica, back and joint pain, acute sprains, headaches, and workout soreness after sessions on the Stem Cell Stimulator. The Stem Cell Stimulator applies several modalities to the body to stimulate stem cells and attract them to areas of need. All of the modalities are powered by structured electricity created by variations of the Tri-Vortex electromagnetic frequencies. The client wears comfortable clothing – shorts, long skirt, or pants that can be easily rolled to the knee. The session starts with the client consuming an 8-ounce bottle of raw coconut water that has been changed by a Tri-Vortex Technology Disc. 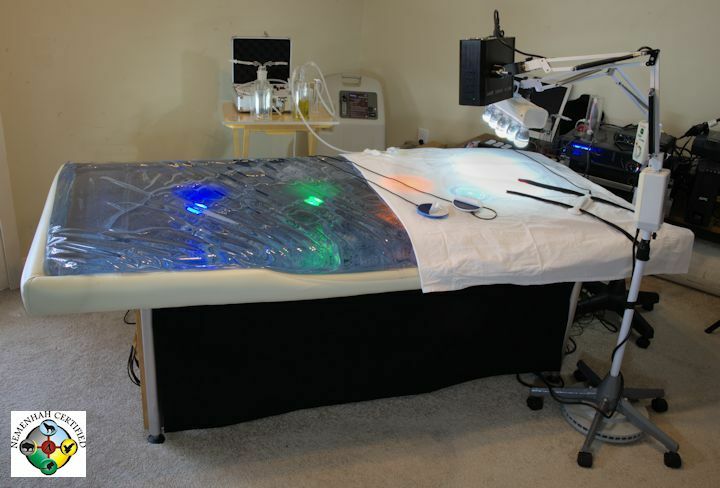 The client then lies on a water table that is vibrated and illuminated by the Tri-Vortex electromagnetic frequencies. A positive insulated applicator is secured to the tibia of one leg and another insulated applicator that serves as the ground is placed on the area of the body that is of concern. A low level RGB laser is directed to the opposite tibia and another ground is placed on a target area. The Tri-Vortex generated electromagnetic pulses travel into the tibia, which is the largest reservoir of stem cells in an adult human. The energy then travels to the grounds pulling the stem cell energies along the positive to negative flow. The lower legs are also exposed to UVA and UVB LED lights that are powered by the same frequencies. An ion generator, also powered by the Tri-Vortex frequencies, operates in the room. During the entire session, the client breathes ozone generated by the two positive poles of an amplifier pulsing Tri-Vortex frequencies generated by a computer. The one-of-a-kind ozone is bubbled through a proprietary blend of organic hemp oil/CBD oil (no THC) and other oils that assist the hemp and CBD oils to rapidly absorb into biological cells. Paper covered metal applicators connected to the two ground poles of the amplifier are placed on the specific target area of the body to attract the positively charged blend of oils. The Tri-Intra-Sound unit is used on the areas of concern during portions of the session to assist in turning on the DNA of the Stem Cells. The Stem Cell Stimulator session applies the Tri-Vortex Technology frequencies to the body through means of all 5 of the traditional senses – taste, sight, sound, touch and smell. 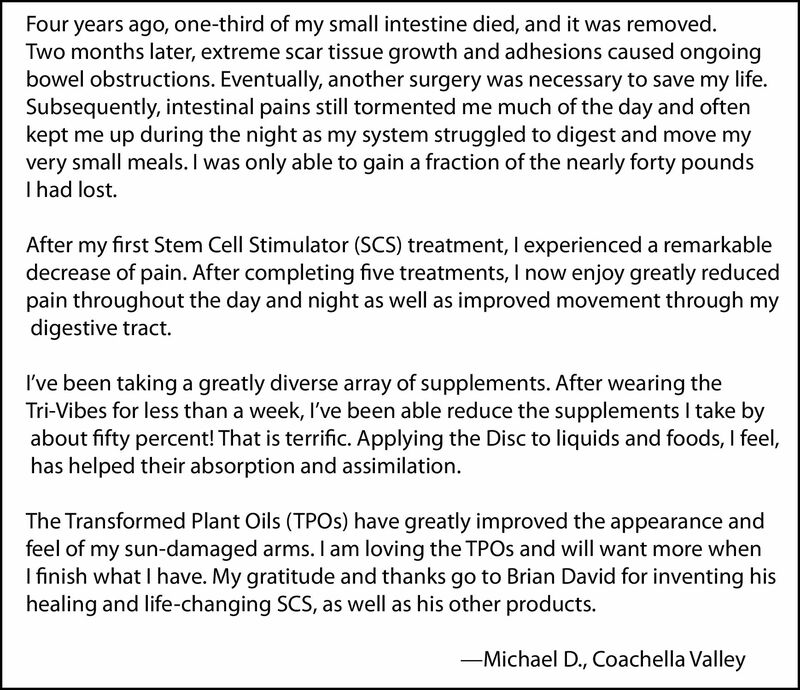 The Tri-Vortex Technology Stem Cell Stimulator is the only device in the world that attracts the positively charged hemp /CBD oils to a specific target area of the body with no negative side effects. Sessions typically last 50 to 55 minutes and can be experienced twice daily. Out-of-town clients may want to stay at one of the spas or certainly at least visit one of the healing natural hot springs located in the neighboring community of Desert Hot Springs. Follow-up tools and products are available and may be suggested depending upon the situation of the individual. Stem Cell Stimulator units are also available to health and wellness practitioners or private individuals as a lease/purchase agreement. Please Contact Us for additional information on sessions or the SCS unit. The following videos relate the experiences of some of the recent clients of the Stem Cell Stimulator. Dave’s arteries transitioned from an 80 year-old to a 30 year-old in six months while his injured legs and back were rejuvenated. Dave’s Journey To Balance from Brian David Andersen on Vimeo. Forty-seven-year-old Scott Kiloby had a debilitating mid-back pain since he was 20 years old. He briefly relates his decline into legal drug addition, nearly losing his law practice, gaining sobriety and how the Stem Cell Stimulator transitioned his life. This short two minute video details how James’s quality of life improved with Stem Cell Stimulator sessions and Tri-Vortex Protocols despite his intense congestive heart failure. Lester Estradra’s journey to balance after being challenged with lymphoma. Also he details a significant benefit his wife experienced when she completed the Tri-Vortex Technology protocols. Michael Carroll’s journey to balance after being challenged with lymphoma and sciatica. Cathy Hill discusses her chronic knee pain due to an injury over 30 years ago. 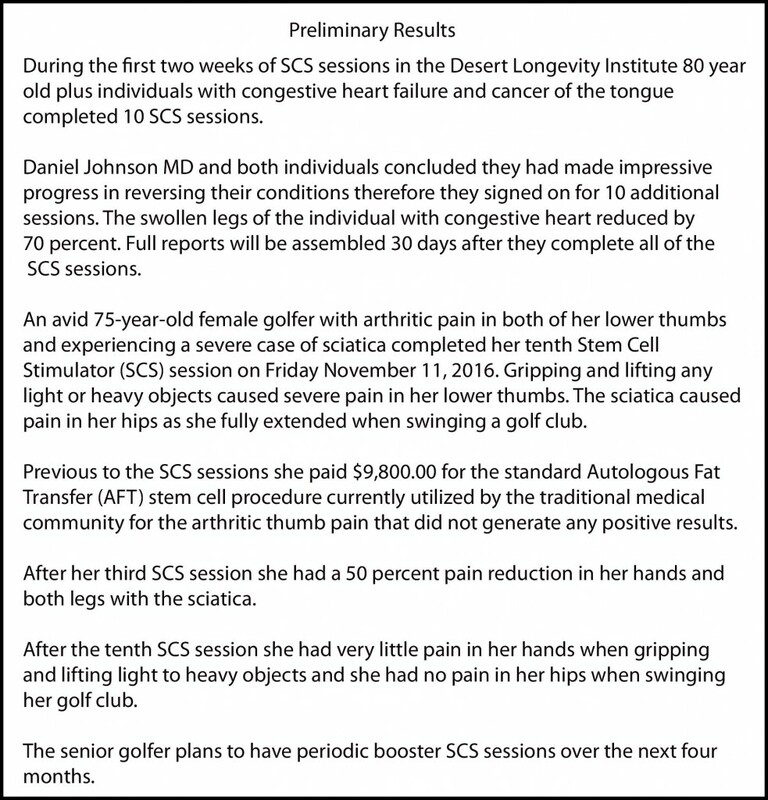 Dorothy Parmar was experiencing extreme neurological pain in her hip and groin. Angelika was unable to run due to a sprained ankle that would not heal and was having difficulty with some of her yoga poses. Tazz Powers had interviewed Brian David Andersen on her radio show a few years back and was familiar with Tri-Vortex Technology products. She was having significant hip and knee challenges and was dependent upon a cane. “Great! You really did an excellent job editing [her video clip]. I didn’t realize I had so many wisdom lines…lol. I’ll come back when you have something to lift my body back to a physical age of 28. Actually the good news for me also is that I’ve lost 12 lbs since I began with you which is certainly a pleasant plus. Not quite sure how all this stimulated such a change, but I’m really excited for this alteration. My body feels more colm and nourished, and I now have an automatic shut off when eating whereas before I was always hungry. Stephen and Judy Plank were introduced to Tri-Vortex Technology by their son. For the past 15 years the leading Tri-Vortex Technology distributor has been Dr. Judith Kravitz, founder of the Transformation Breath Foundation. Transformational Breath is taught around the world. After her experience with the Stem Cell Stimulator in the fall of 2014, Judith wrote this letter to her global mailing list. The following video is an excellent overview of the work of the Transformational Breath Foundation. The following video is a documentary that covers the original version of the Stem Cell Stimulator before the addition of the water table. These client video clips were shot at the Hippocrates Health Institute in West Palm Beach, FL. Please note that since relocating to California Andersen is no longer associated with HHI and that the Stem Cell Stimulator is no longer available at that institution. 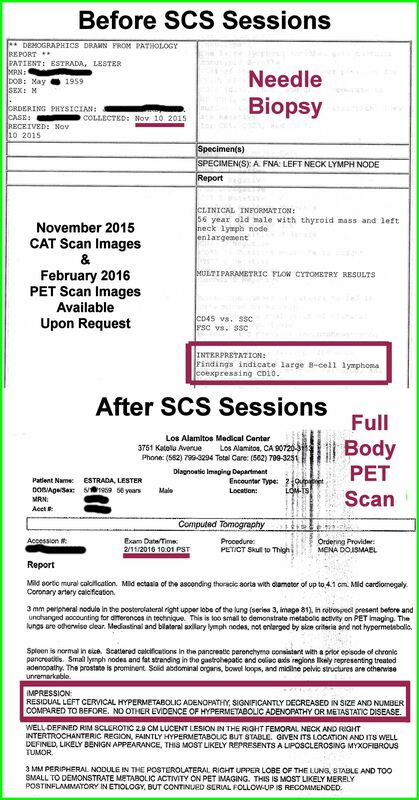 The services provided are not licensed by the State of California and are in full compliance with all sections and sub-sections of SB577- the 2002 California Alternative Health Care Law.